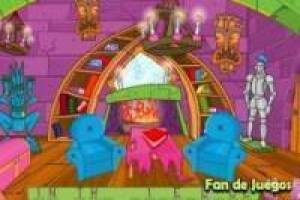 Scooby Doo is hidden somewhere in Barbie's house and you must find it before it's too late. Where will Scooby Doo have hidden? Search all the corners of the house in search of a clue or find our friend Scooby pull. You feel like finding Scooby Doo! If you prefer you can play it in the APP or on any device with an Internet connection. Have a good time helping Barbie find Scooby Doo who is hiding. Enjoy the game Barbie and Scooby, it's free, it's one of our barbie games we've selected.